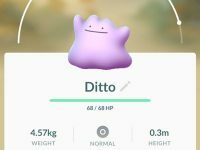 After all this time trying to catch one, and so many people I know also getting a ditto, I finally get one. Awesome. So many more other pokemon to go.